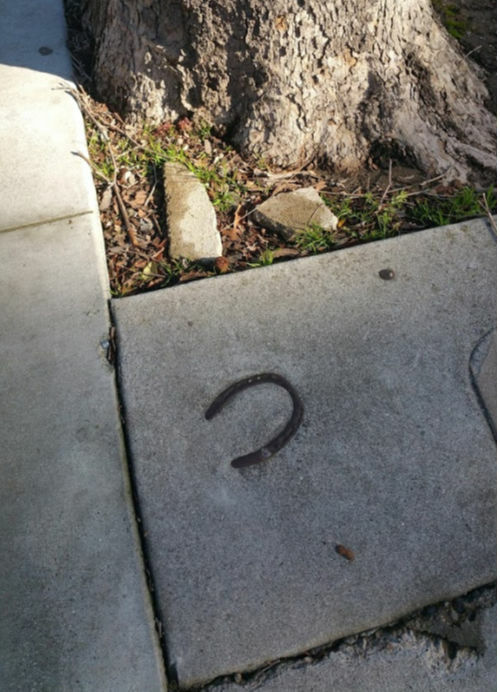 All right, neighbors, where in Los Gatos can you find these beautiful horseshoes embedded in concrete? 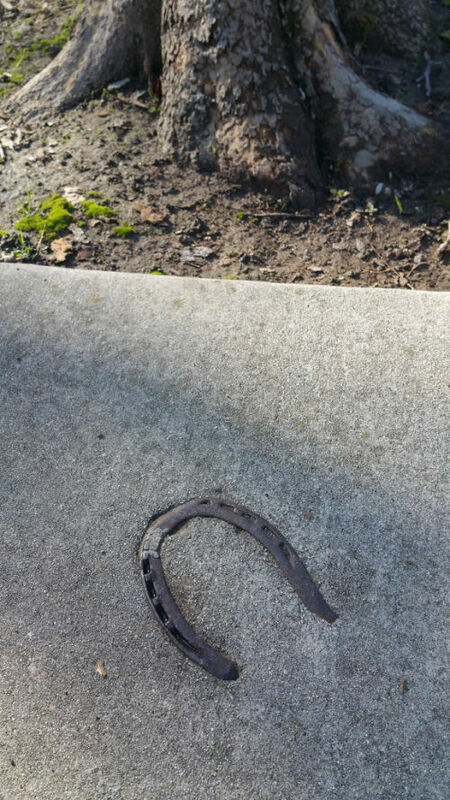 The first individual to email me the correct answer / location will win a prize! See below for the details. 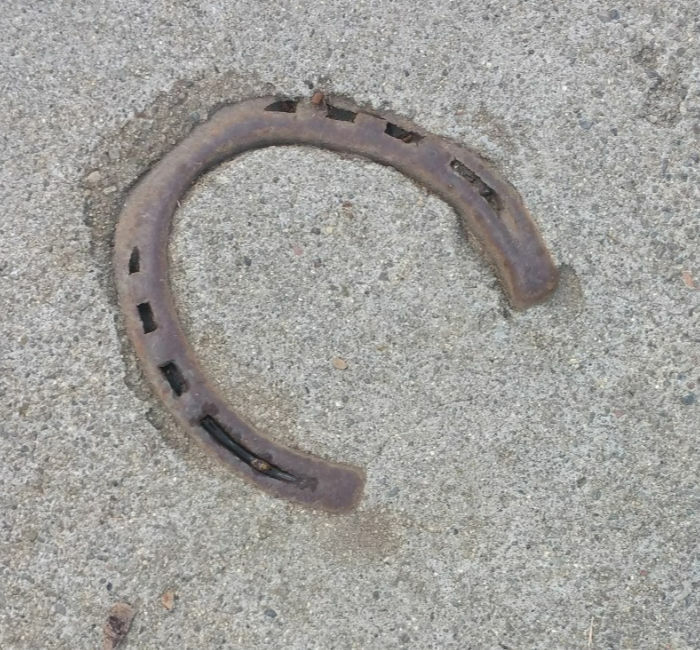 With this last one, it does appear that the horseshoe is next to a walkway or maybe a sidewalk. What do you think?